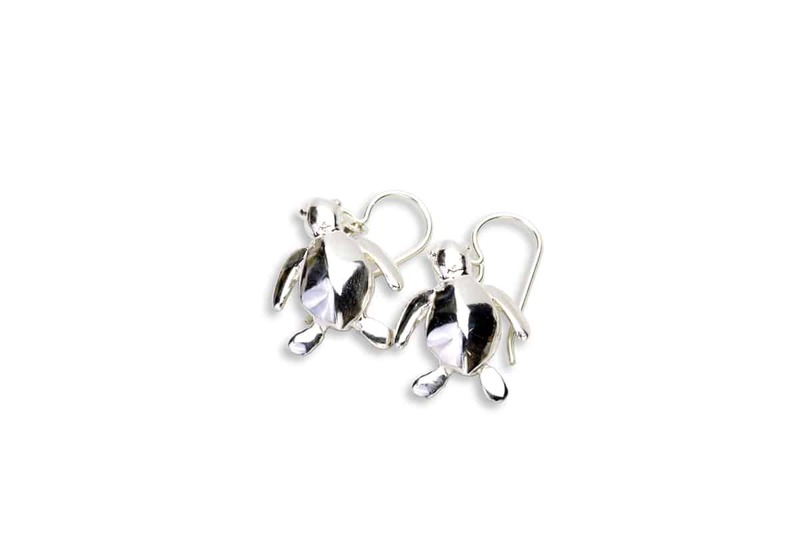 Lovely little Honu Iki Baby Turtle Earrings to brighten your day. 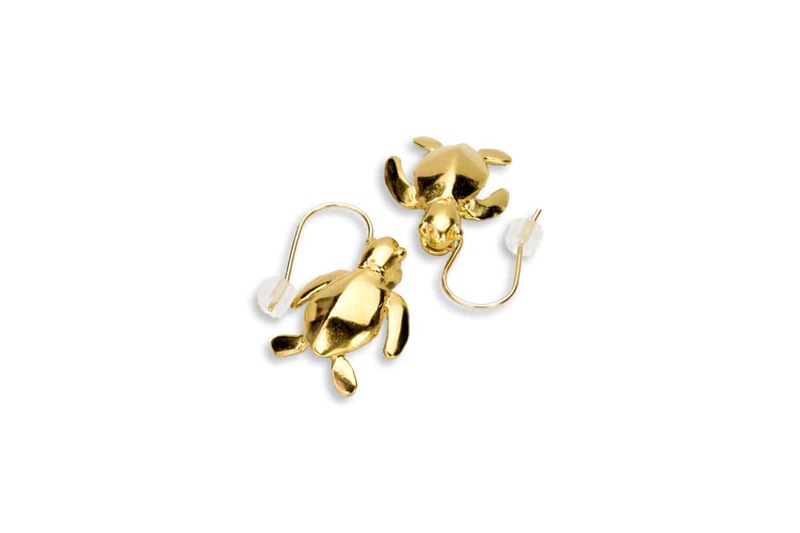 Minimalist, yet capturing the essence of a baby turtle, these Honu Iki earrings are sure to bring a smile when you wear them. Made in the form of baby turtles as they crawl down the sand, these honu earrings are sweet and light. 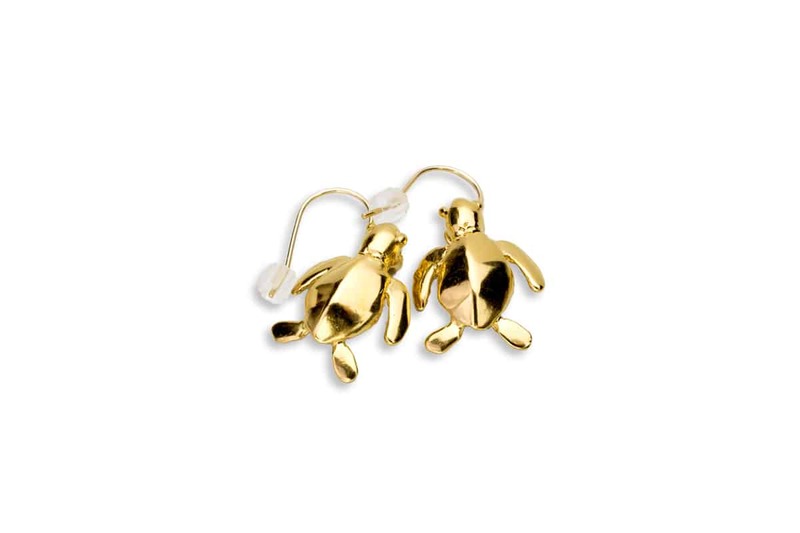 Easy to style and great day or night; wear the magic of Hawaiian Green Turtles! Honu are Hawaiian green turtles, and are a source of great joy for seasoned ocean lovers and newcomers alike. For the ancient Hawaiians, they symbolised the navigator and mankind’s eternal connection to the land and the sea. Some legends talk about how honu guided the Polynesians to Hawaii. Others talk of a honu and honu’ea (the similarly threatened hawksbill turtle) as magical beings and protectors, and their daughter Kauila as the protector of children. Baby honu are hatched from eggs laid by the mother on land. Sometimes the mother will swim hundreds of miles to return to her beach of birth in order to lay her eggs. 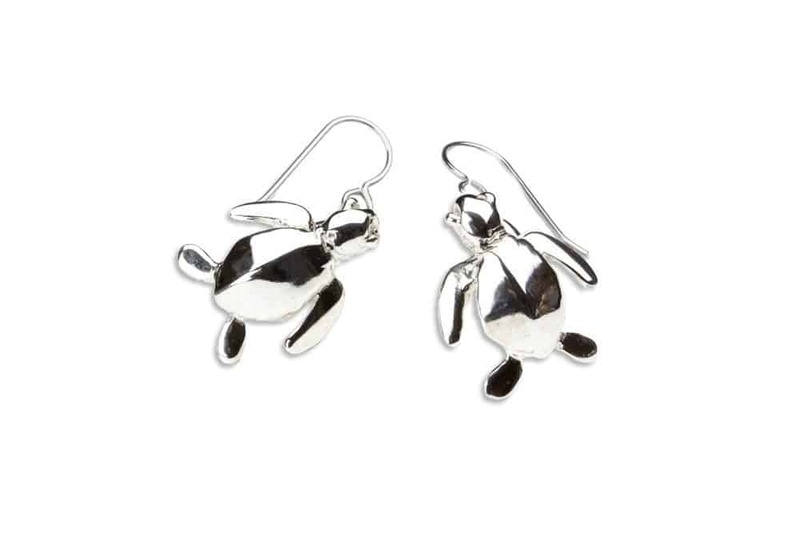 Once out of their shells, the little honu are in danger until they grow bigger. If they make it to the water, they begin a treacherous pelagic life on the open sea until they are big enough to return to the reef. Out of thousands of eggs, very few turtles make it back to the reef. Once critically endangered, they’ve been protected in Hawaii since the late 70’s. Populations are only now making a come-back – although they are still threatened by fishing and pollution. Read more in our blog post. 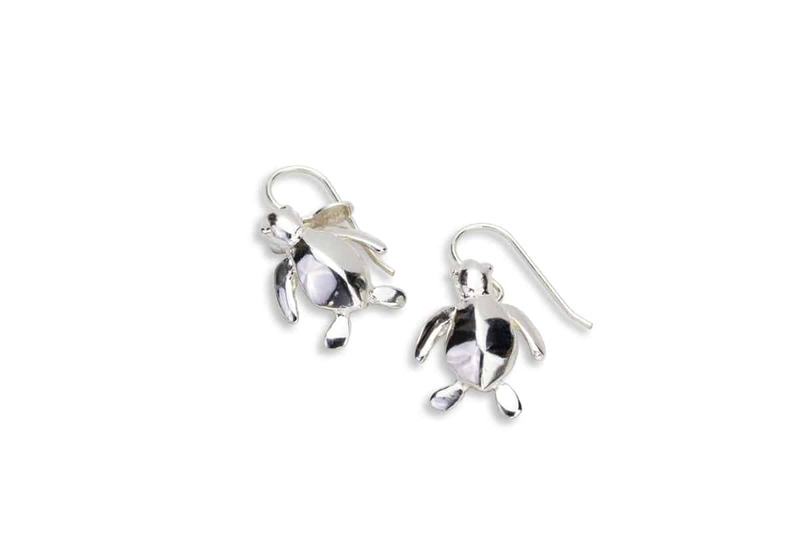 Our Honu Iki Baby Turtle Earrings feature hand-carved baby sea turtles. Choose from simple, plain sterling turtles, or make more of a statement with sterling silver tassels. 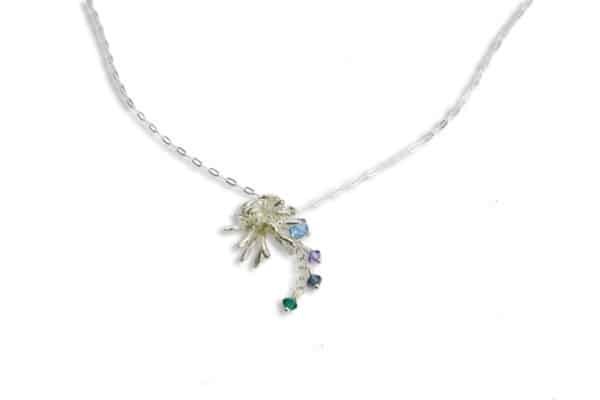 The tassel version sports beautiful peridot and amethyst gemstones. 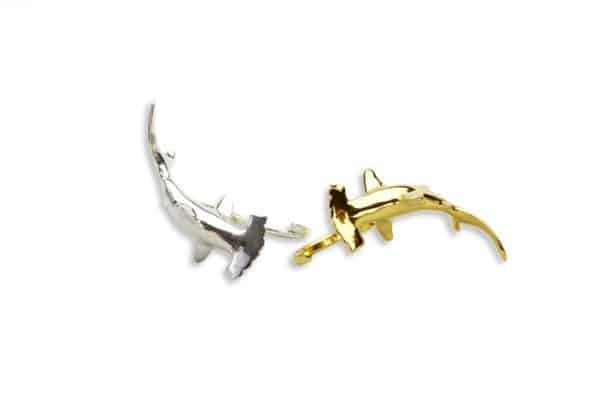 Both come with sterling silver earwires. These honu were carved with attention to scale and detail. 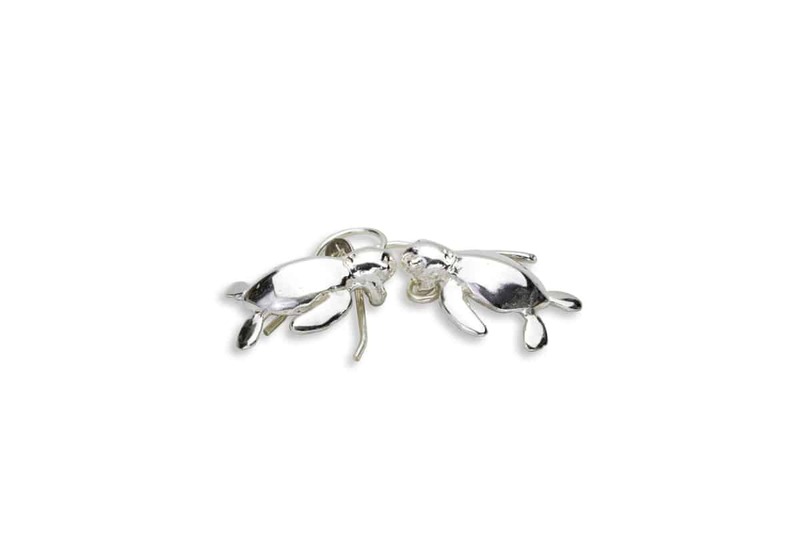 We polish the master in wax, cast in sterling silver, and hand-finish. After making wax replicas and casting, the little turtles are carefully ground, filed and hand-polished before soldering them into the earrings. The final step after polishing is wire wrapping the gemstones by hand.